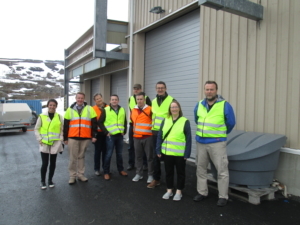 As part of the GREBE Project meeting in June, the Norwegian partner, Narvik Science Park, organised visits to hydropower installations and wind parks, as well as meetings with companies operating in the renewable energy sector in Norway. The first meeting was held with Dag Smedbold of Statkraft (https://www.statkraft.com/). Statkraft is a leading company in hydropower internationally and Europe’s largest generator of renewable energy. The Group produces hydropower, wind power, gas-fired power and district heating and is a global player in energy market operations. 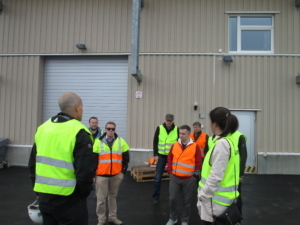 Statkraft has 3800 employees in more than 20 countries. Dag outlined their development and the leading role they play in renewable energy in Norway and in Europe, particulary in the hydro sector. Following our meeting with Statkraft, we met with Matthew Homola of Nordkraft (http://www.nordkraft.no/). Nordkraft is an energy group focusing on the development, development, production and distribution of all natural renewable energy. The group also has interests in power sales and other energy-related businesses. The renewable energy production comes from magazine power plants, small hydro and wind power. The distribution network covers Narvik Municipality, as well as wall in Evenes Municipality. The group’s history dates back to 1913, when the first power plant was put into operation in Håkvik valley in Narvik municipality. It has mainly been public or publicly-owned owners all the time, except for some years in the 2000s when Danish E2 / Dong Energy were owners. As a result of this came the wind power initiative. 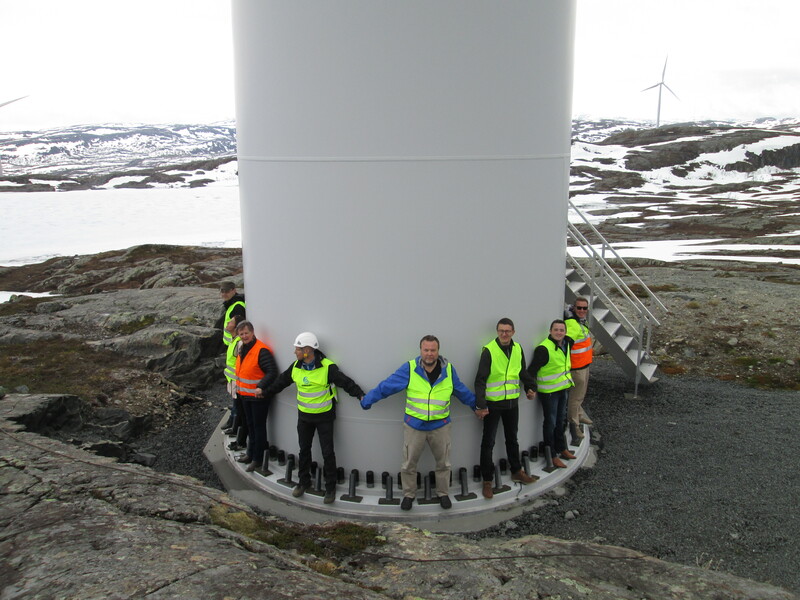 Matthew brought us Nygårdsfjellet wind farm, which was acquired by Fortum along with two other wind power projects in late 2016. Nordkraft continue to manage and operate this project. This wind farm consists of 14 turbines with a total capacity of 32,2MW. Windmills have an installed capacity of 2,3MW each. 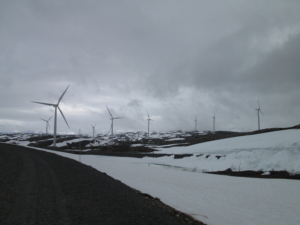 The entry of Nygårdsfjellet wind farm was done in two stages. The first 3 turbines were put into operation in 2006 and the last 11 in 2011. Average annual production is 105GWh, corresponding to normal consumption of about 5200 Norwegian households. Our last visit was to Nordkrafts first power plant in Håkvik valley. Fred Johansen of Narvik Science Park outlined the history of the development of this hydropower plant and the development of renewable energy in northern Norway.